For nearly 20 years in Kansas City and across the Midwest, Saturday nights meant a date with KMBC's "Brush Creek Follies." Whether in the audience or in the living room, fans made the weekly broadcasts an area favorite. 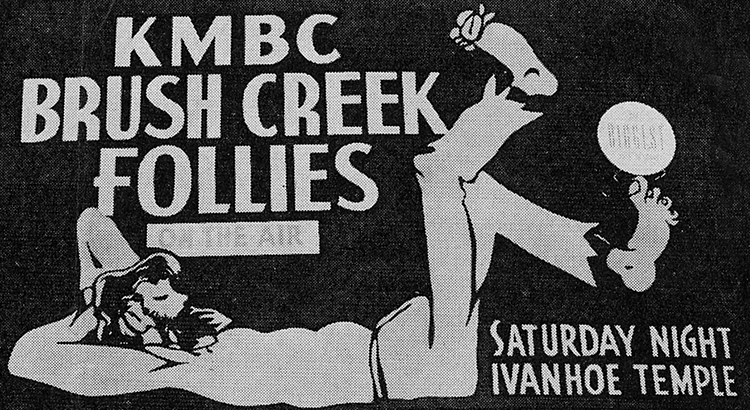 The "Brush Creek Follies" first aired from the Ivanhoe Temple at Linwood and Park in Kansas City in 1938 over KMBC 950 AM. 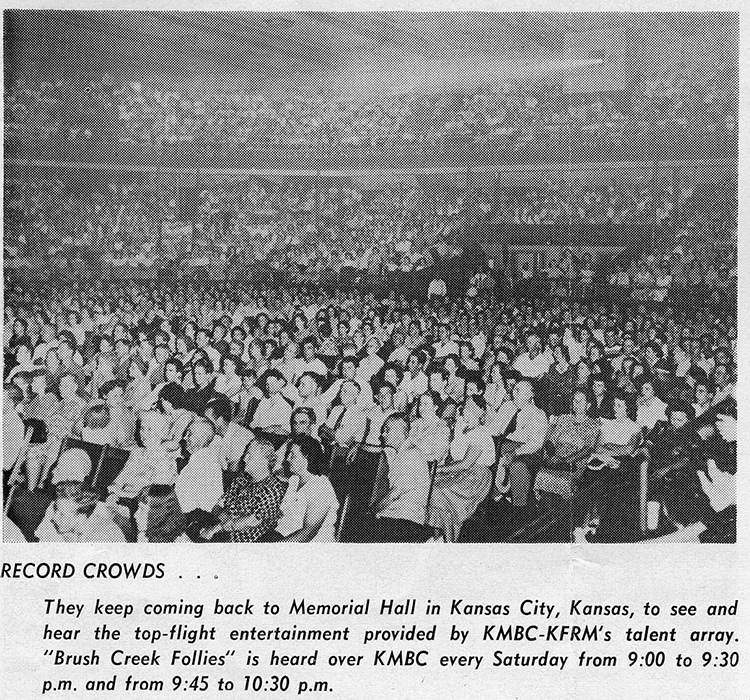 Over the years the show also broadcast from the Music Hall at Municipal Auditorium and Memorial Hall in Kansas City, Kansas, while Follies stars traveled throughout the Midwest, performing at theaters, carnivals, local barn dances, and the Missouri State Fair in Sedalia. 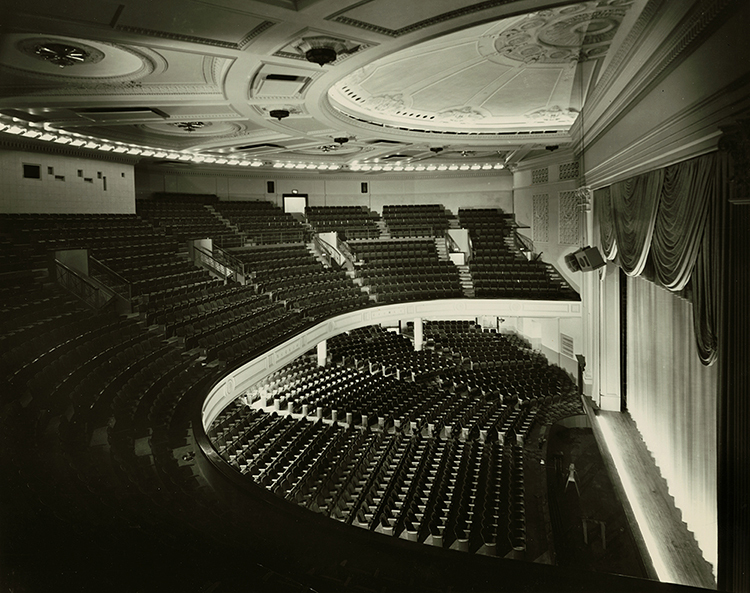 The Follies' final home was KMBC's state-of-the-art TV Playhouse at 11th and Central, which opened in May 1951. In addition to the local broadcasts, portions of the Follies were also aired nationally by CBS. 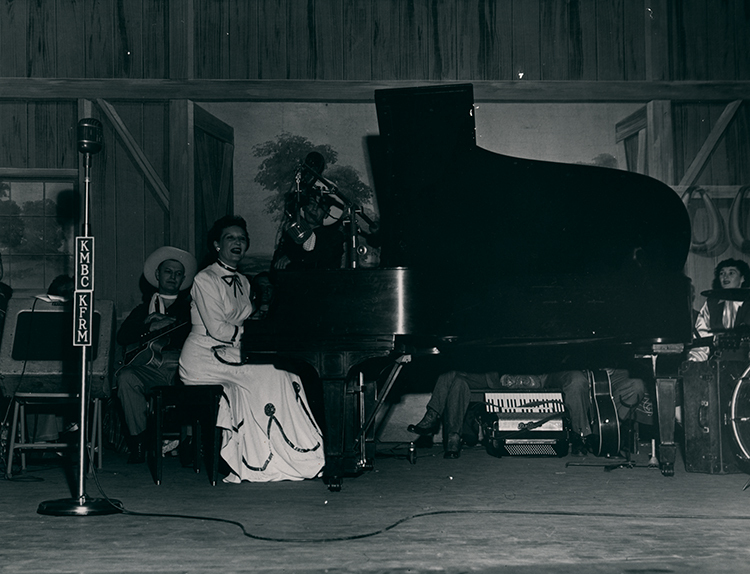 For 14 years the "Brush Creek Follies" held the number-two spot among rural music programs, second only to the "National Barn Dance" on Chicago's WLS. Call it "hillbilly," "cowboy," "rural," or "traditional" ("country and western" wasn't commonly used until the '40s), the music was an instant hit on radio. In fact, when the Follies debuted in 1938, the show's down-home harmonies and homespun humor were already a radio staple. 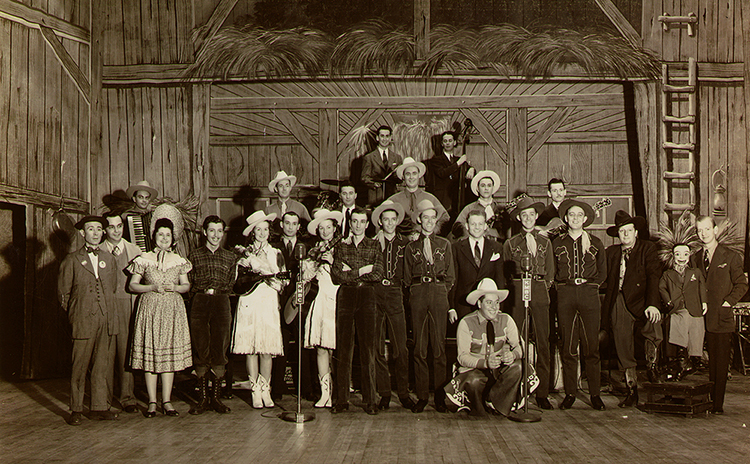 Rural music revues first aired in Atlanta and Fort Worth in 1922, with Chicago's WLS launching its "National Barn Dance" in 1924, and Nashville's "WSM Barn Dance" (later the "Grand Ole Opry") premiering a year later. 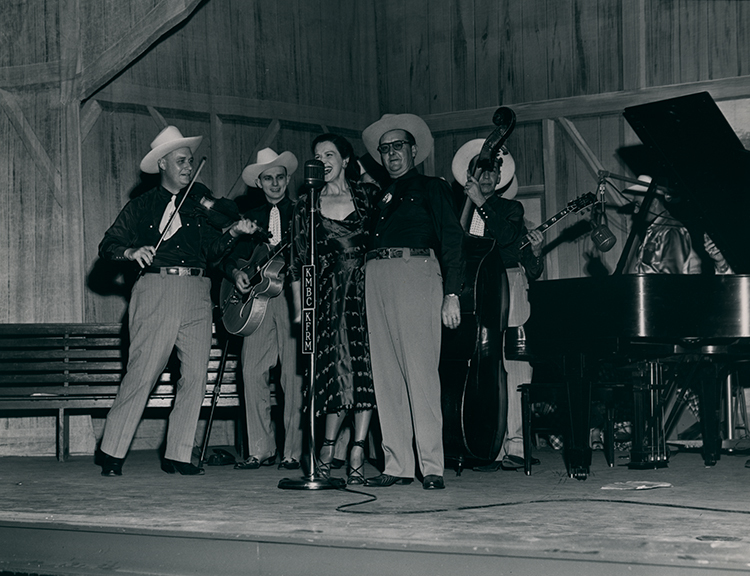 Though recognized today as the leading country music show, the Opry wasn't a national hit until after World War II. Equally important was the "Louisiana Hayride," which began broadcasting in 1948 over Shreveport's KWKH and helped launch the careers of Hank Williams, Kitty Wells, and dozens more. 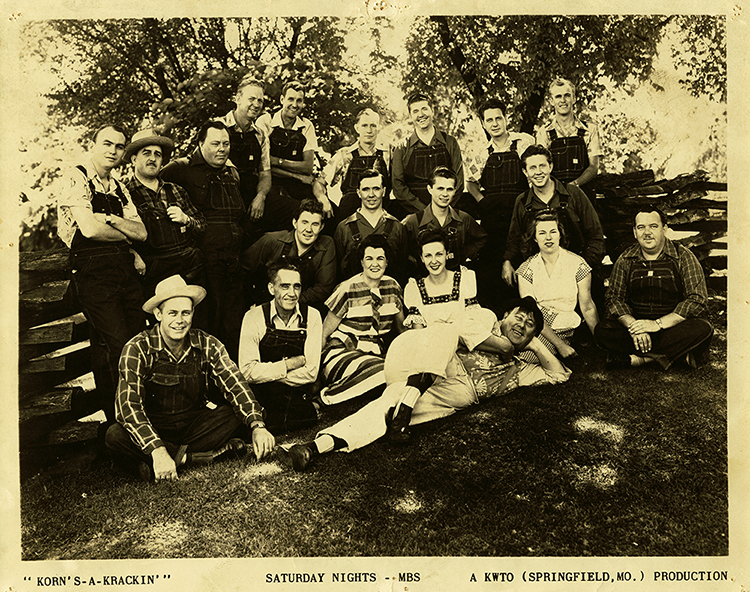 One of the most influential music showcases in the nation, the Hayride ended in 1960, overshadowed by rock 'n' roll's growing popularity, which, ironically, owed much to one of the Hayride's biggest discoveries, Elvis Presley. Locally, the heartland boasted several rural music broadcasts in addition to the "Brush Creek Follies." The most notable was "Korn's A-Krackin'" from KWTO in Springfield, later known as the "Ozark Jubilee." In 1953 the Jubilee was televised over Springfield's KYTV, becoming the first network country music telecast. Later known as "Country Music Jubilee" and "Jubilee USA," the show launched the careers of Red Foley, Brenda Lee, and others, including future jazz great and Missouri native Charlie Haden, who appeared regularly with his family's bluegrass band. In 1961, as "Five Star Jubilee," the show was the first color broadcast to originate outside New York or Hollywood. Known as "the crossroads of country music," several nationally and regionally syndicated programs originated in Springfield, with Smiley Burnett, Red Foley, the Jordanaires, and others producing transcribed shows in the studios of Springfield's Shrine Mosque auditorium. 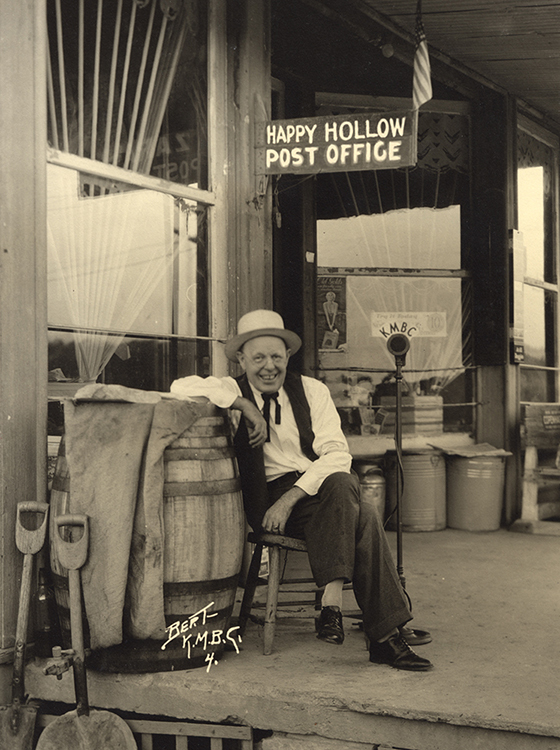 Along with jazz, Kansas City was also a cowboy music stronghold, prompting KMBC founder Arthur B. Church to make western and hillbilly music a big part of his station's programming. 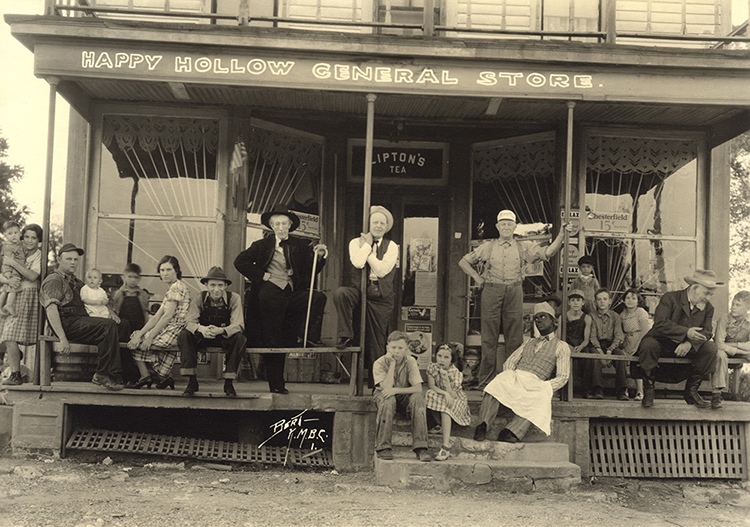 An early hit was Happy Hollow, a down-home program featuring traditional music, country humor, and the corn-fed wisdom of Uncle Ezra. 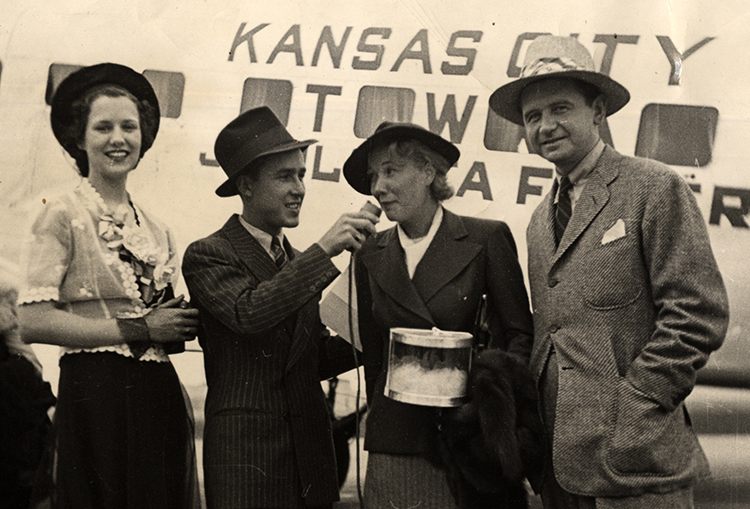 One of the station's first singing stars was Louise Massey, who, along with brothers Curt and Allen, joined KMBC in 1930. 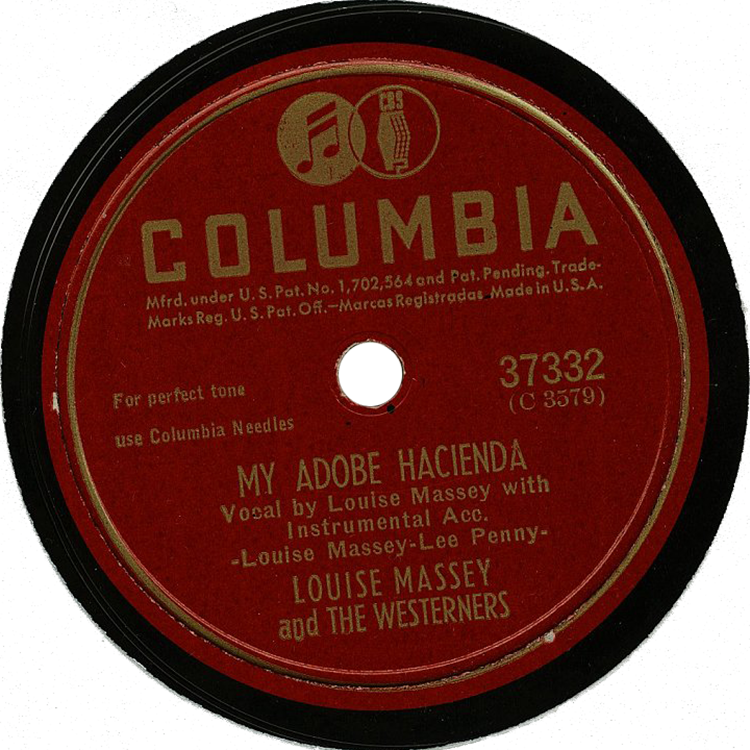 After moving on to the "National Barn Dance" on WLS, the Masseys became bigger stars, Louise as a composer and singer with the Westerners (which included her brothers and husband), and Curt as a singer, band leader, and film and television composer. Along with grooming future stars, the station also shaped future broadcast trends. 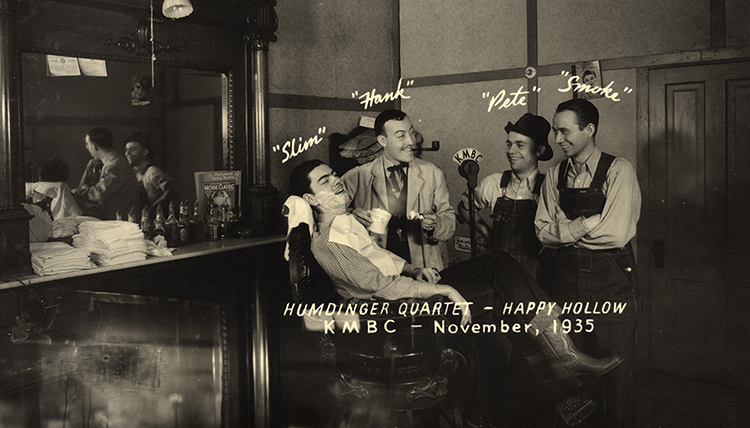 In 1933, KMBC hired a young law-school dropout with musical aspirations named Paul Henning. 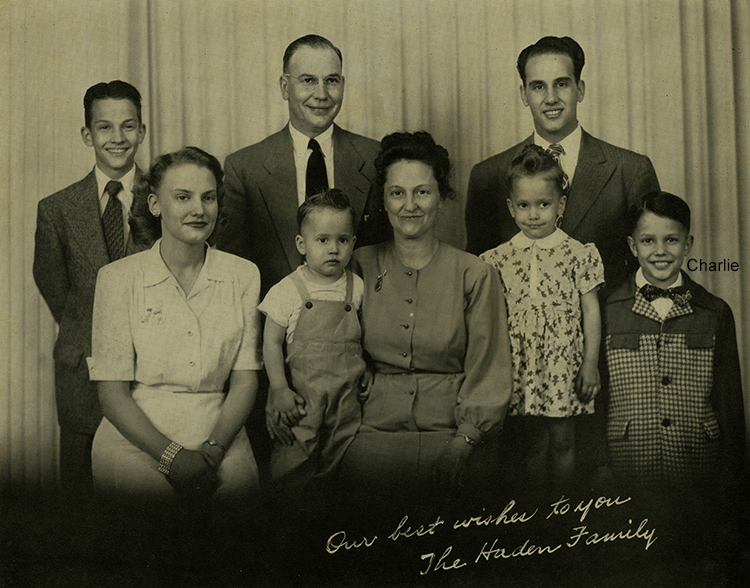 Though a microphone personality for KMBC, and a "Happy Hollow" regular, the Independence, Missouri native realized that his greater talent was at the typewriter and not the microphone, and became a staff writer for the station. In the late '30s, Henning moved on, first to Chicago to write for NBC's "Fibber McGee and Molly," and then to Hollywood where he worked in radio, films, and finally TV. It was in television that Henning created some of television's most popular programs, "Petticoat Junction" and the "Beverly Hillbillies," and produced a similar hit, "Green Acres." 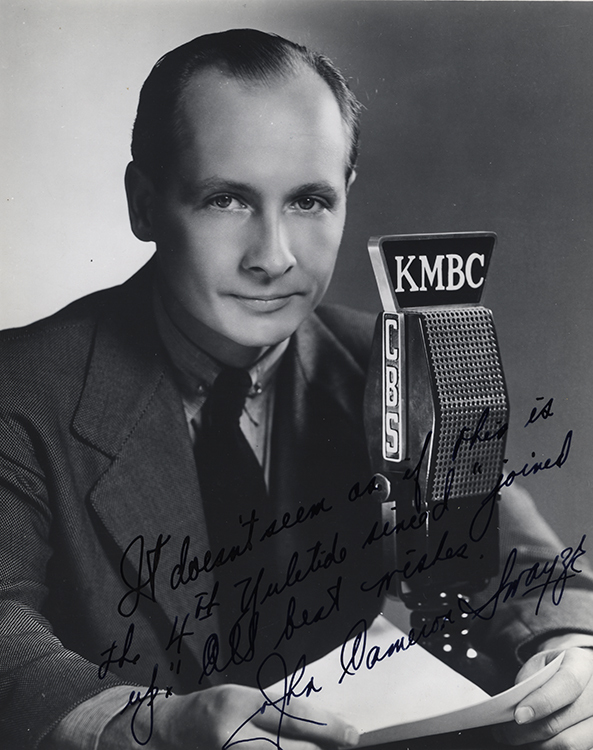 Henning also composed much of the music from these shows, including the "Ballad of Jed Clampett," and co-wrote the "Petticoat Junction" theme with an old friend from KMBC, Curt Massey. Seemingly fresh and innovative at their peak in the 1960s, these programs were just a stone's throw from the corn-fed humor and folksy charm of "Happy Hollow" and other shows from Henning's days at KMBC. 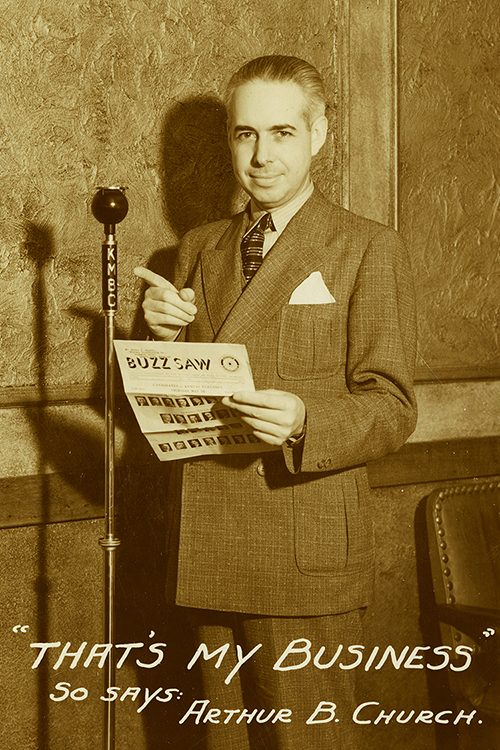 Broadcast pioneer Arthur B. Church launched his first station in Independence, Missouri, in 1921. 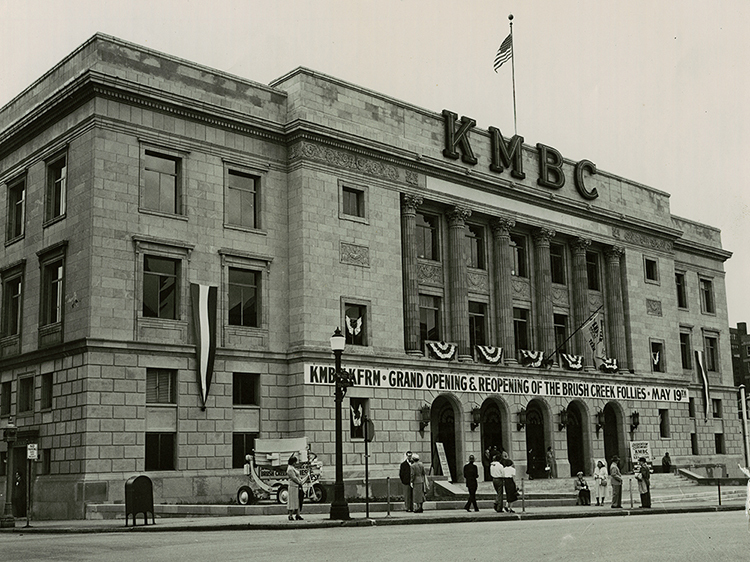 Originally operating on the amateur frequency 9AXJ, by 1928 the station was a 1,500-watt Columbia affiliate known as KMBC. In addition to his commercial interests, Church also founded the First National Television School (later the Midland Radio and Television Schools, and known today as the DeVry Institute), and the two amateur experimental stations, W9XBY and W9XAL, used for training. Radio station W9XBY is noteworthy for sending Count Basie's Reno Club broadcasts across the country and to the appreciative ears of producer John Hammond. Less celebrated is W9XAL, one of the world's earliest television stations, which began broadcasting on January 23, 1933. Originally a short-wave mechanical TV operation, W9XAL broadcast several shows, including a 15-minute news broadcast with John Cameron Swayze. 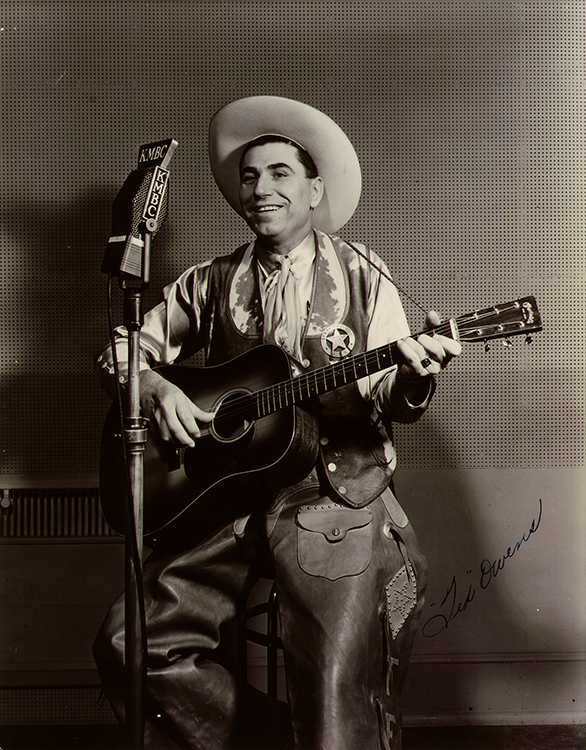 More remarkable was a regular program featuring Tex Owens, a cowboy crooner and one of KMBC's biggest stars, which is possibly the earliest country TV show. By the 1950s, television was no longer a novelty, but broadcasting's wave of the future, and Church, still an innovator, made his mark in television as he had in radio 30 years earlier. KMBC's "TV Playhouse" debuted to national fanfare in March 1951. 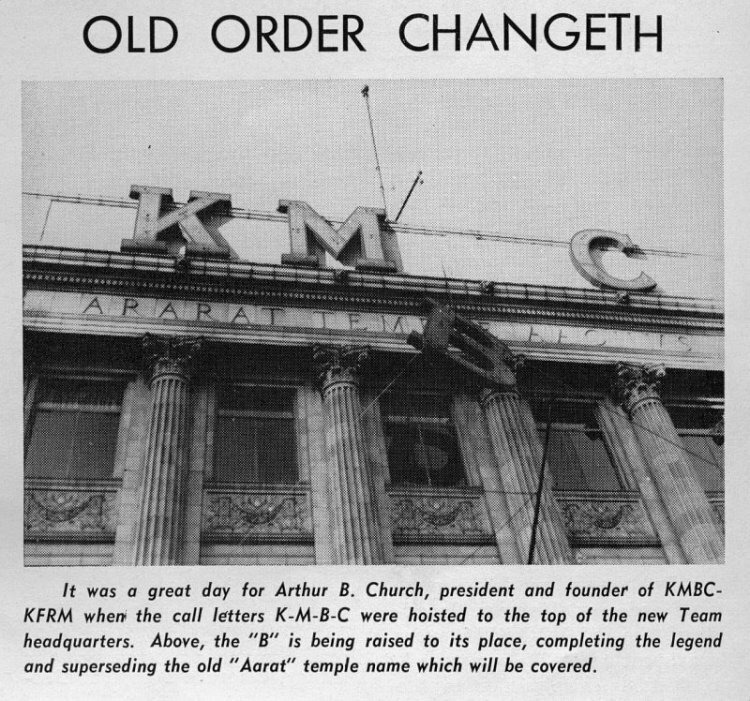 Renovating the old Ararat Temple at 11th and Central (currently home to the Lyric Opera and KMBC Channel 9), gave KMBC a state-of-the-art broadcast facility as well as a new headquarters, and KMBC left its old offices in the Pickwick Hotel. The spacious new auditorium also provided a new home for the "Brush Creek Follies," and the dedication ceremonies coincided with a special Follies presentation. Special guests included actress Ruth Warrick, who started at KMBC, and Rex Allen, cowboy recording star, actor, host of Springfield's "Five Star Jubilee," and later the unmistakable voice of more than 80 Walt Disney films. With KMBC shifting to television, a resulting labor dispute forced the demise of the "Brush Creek Follies." Broadcasters had been paying performers once, then essentially using their work twice, once over the radio and again on television. Since the stations were getting twice the benefits, the union demanded that performers be fairly compensated. At KMBC, management balked. Instead of broadcasting the Follies on TV and radio, and doubling the station's payroll, KMBC's "Brush Creek Follies" signed off for good in the mid '50s.